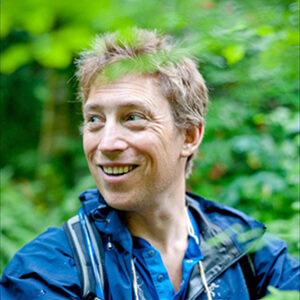 Langdon Cook is a writer, instructor, and lecturer on wild foods and the outdoors. His books include Upstream: Searching for Wild Salmon, from River to Table (Ballantine, May 2017), The Mushroom Hunters: On the Trail of an Underground America, winner of the 2014 Pacific Northwest Book Award, and Fat of the Land: Adventures of a 21st Century Forager, which The Seattle Times called “lyrical, practical and quixotic.” Cook’s writing has been nominated for a James Beard Award (2016) and a Pushcart Prize. He has been profiled in Bon Appetit, WSJ magazine, Whole Living, and Salon.com, and his writing appears in numerous magazines, newspapers, and online journals, including Terrain, Gray’s Sporting Journal, Eating Well, Outside, The Stranger, and Seattle Magazine, where he’s a regular columnist. On-screen credits include the PBS TV series “Food Forward,” the Travel Channel’s “Trip Flip,” and the webcast “The Perennial Plate.” He has also been the recipient of grants and awards from Artist Trust, 4Culture, PEN Northwest, and the Bread Loaf Writing Conference. A graduate of Middlebury College in Vermont (BA) and the University of Washington (MFA), Cook lives in Seattle with his wife, poet Martha Silano, and their two children.